This piece of work involved paving the front and back using paving mold as per image on the left. 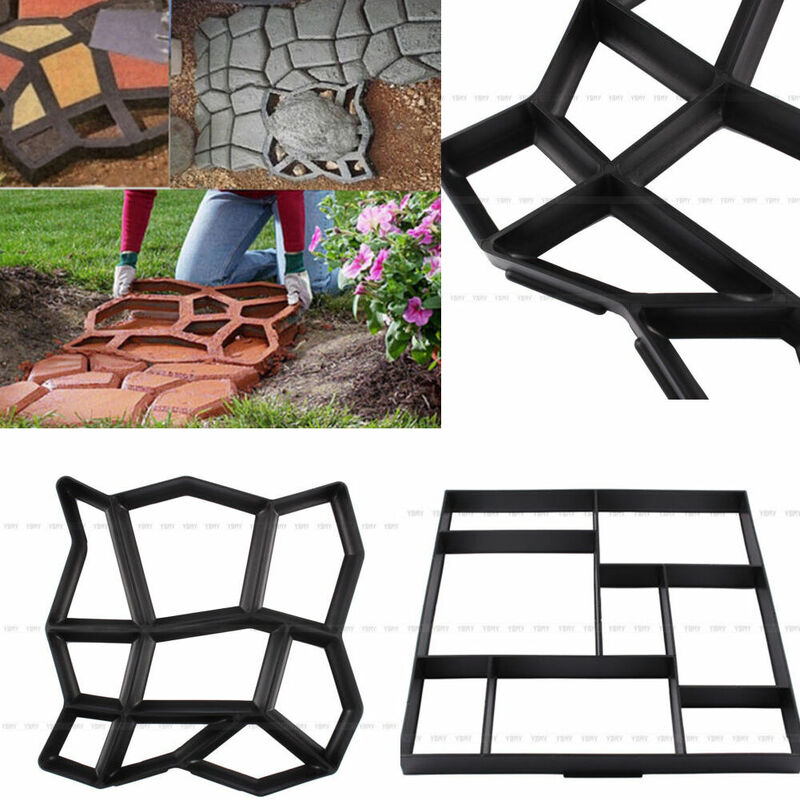 Simply select the mould style and we will use it to create a unique paving for your house. To provide this elegant view of the house, our handyman created a shingle boarder with a weed control fabric to enhance the look of the existing plants. Lastly, the external walls were painted to a new colour to create a unique look on the streets. Building a decking area in a back garden involves removing trees and shrubs to clear the area before leveling. The decking framework is first built before adding each decking board. Once vanished, the flower pot was built using the remaining decking boards. Dismantling the shed, moving, assembling and creating a concrete floor. Gutter cleaning at rear of house above a conservatory. Then cleaning the top of the conservatory. Exposing the leak; Opening the flat roof slabs; Apply damp proof membrane to seal the roof; repair leak and repaint.